In a medium sauce pot, place the pears, add one cup of Moscato d’Asti Docg and sugar and bring the liquid to a simmer over medium heat. Cover the pot with a lid and simmer until the pears are fork tender. When cooled, remove the cores from the pears with a spoon or pairing knife and discard. Seperately, cut the balls of mozzarella in half, season to taste with salt and pepper and place a half ball in the center of a bowl. 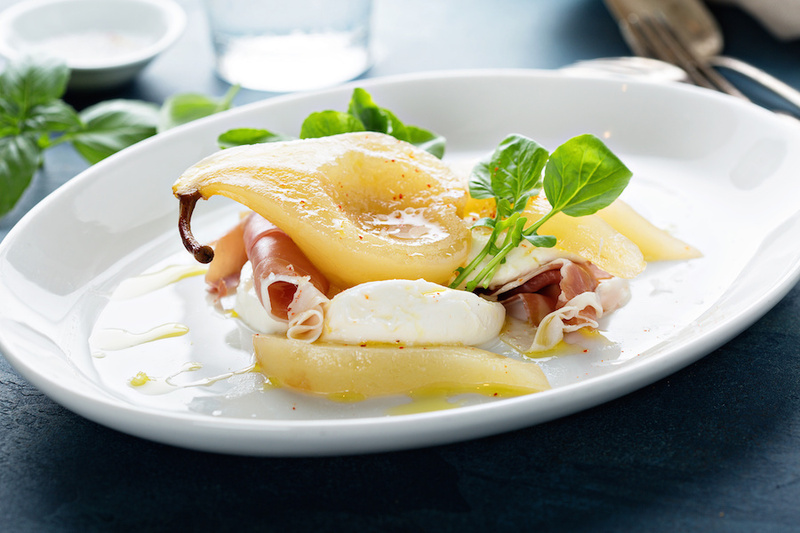 Slice the pears and place them over the mozzarella and garnish with two basil leaves .